Jeff Scheur the Founder and CEO of NoRedInk was a high school English teacher for 8 years. He’s currently a teacher and Debate Team Advisor at Whitney Young Magnet High School in San Francisco. He realized after grading over 15,000 English papers he wanted to help students improve their grammar/writing skills. His intention is to improve the feedback loop in education and empower students to become strong, confident writers. Scheur’s motivation and desire to create a program for students out of his own teaching frustrations is admirable and a breath of fresh air. The program itself is a great one offering students autonomy to learn at their own pace but also the chance for educators to use his program as a motivational grammar teaching aid. Scheur’s states that without his knowledge of grading so many 1000s of papers in tracking student errors in writing mechanics, he wouldn’t have been able to incorporate them into his program. These trends are included into the NoRedInk program algorithms and learning engine. NoRedInk allows students to define the structure and putting in their social contextual preferences into Facebook to create personalized curricula based on that data. 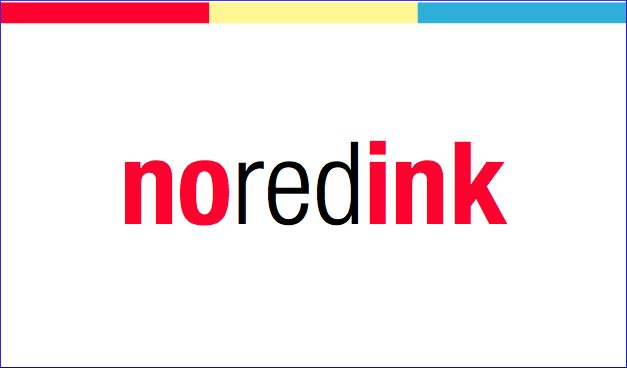 His company is so aptly named “NoRedInk” since it proposes limited use of marking up a students paper in red ink if it was full of mistakes. Scheur currently presents in workshops on differentiating grammar and writing instruction at the Teaching and Learning Conference in Washington D.C. His sessions explore ways that teachers can leverage technology and adaptive learning to help their students grow as writers with the use of his program. NoRedInk helps students improve their grammar/writing skills using adaptive learning. Students have solved over 40 million questions on their site, and the site is used in thousands of schools by thousands of educators. NoRedInk’s learning engine generates personalized curricula from students’ interests, creating feedback, tutorials (and even color-coded heat maps) based on students’ preferences and their areas of proficiency. The beginning lessons focus on what students are getting wrong, while offering them the opportunity to watch tutorials when they get stuck. NoRedInk prompts students to input grammatical corrections themselves by drag-and-dropping the right punctuation mark as an example. As students move through the lessons, they themselves and their teachers can track their progress through NoRedInk’s dashboard which is broken down into skills. This program offers visuals as well to help students in their progress and understanding. The site offers schools a pro-rate but it is free for everyone else using it. There are numerous positive feedback reviews of teachers of varying disciplines and age levels who have had great success using his site and program. The start-up for Scheur’s company won NBC’s $75K Innovation Challenge in September of 2012, and was featured on the TODAY Show as a result. As a high-school science and language teacher, marking numerous student papers and giving them adequate feedback for further critical learning is so important. I found this program wonderful. Also being slightly colour blind and not a proponent of red ink from my own personal experience of discouragement with a paper full of red ink as a child, this program offers student engagement through their own interests. Grammar is not often a component of language learning that is enthusiastically grasped. It’s a great program that challenges students in content while learning essential grammar points at the same time. More importantly it offers some authentic scenarios and helps students learn grammar in context and not in isolation. I love that it offers students the ability to work at their own pace so that instruction can be catered to their individual needs and differentiated as needed by an educator. The interactivity of the site allows learners to interact with their own writing and move and change grammatical concepts themselves, learning from their own mistakes. Also wonderful is the site is free for anyone to use! A great resource for educators and parents alike.